Stop the press…the blog is back! Sorry for my absence – the last few weeks have been all about adjusting to a new job. But I’ve been storing up plenty of photos ready to post. So expect some winter updates and loads of snaps from my 40th birthday trip to Iceland. 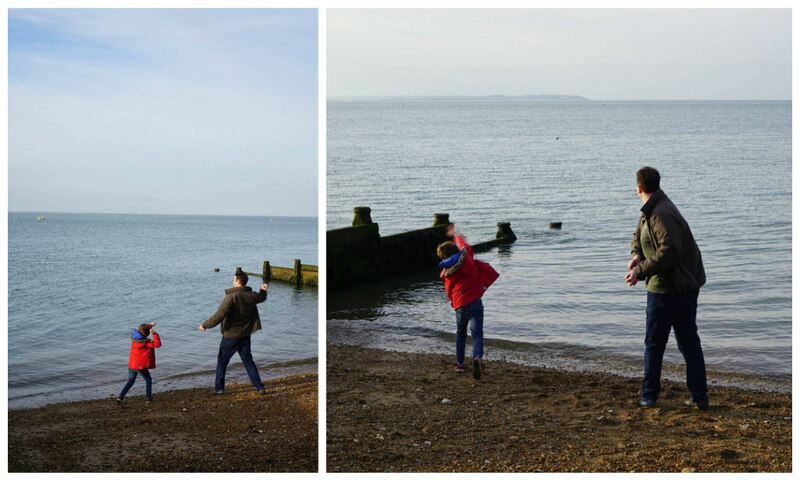 But for now, here’s a quick post about a wonderful weekend trip we made to Whitstable in Kent back in February. 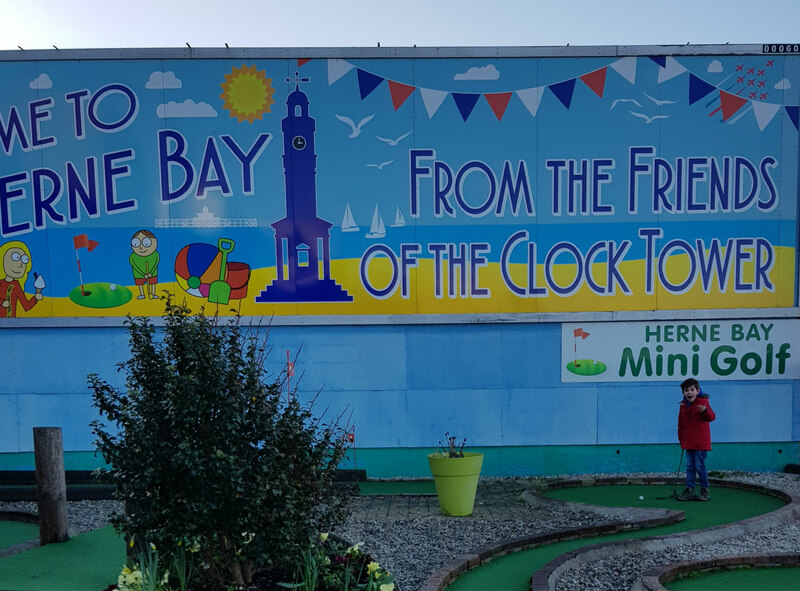 We decided at the last minute to get out of the capital for a couple of days during half term – and I fancied a bit of seaside fun. 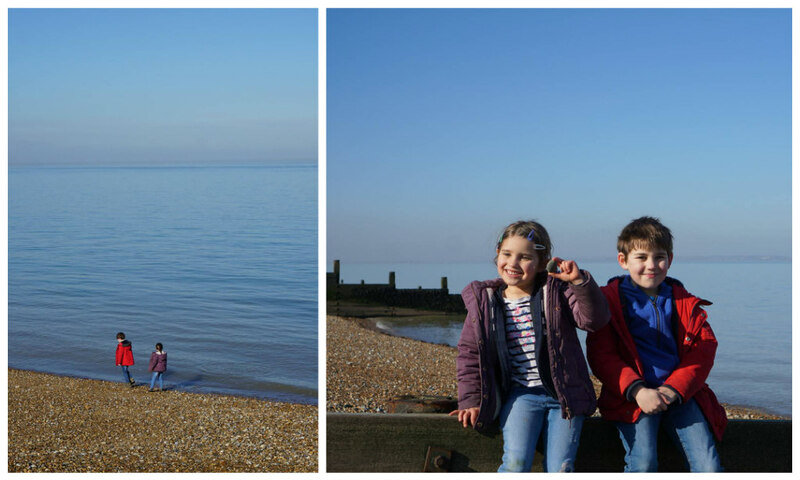 So we booked into a little cottage right in the centre of Whitstable and a few minutes walk from the beach – it was tiny, but just perfect for us. The weather on our first day dawned clear and sunny so, after a delicious breakfast at the Beach Cafe, we hired bikes and hit the Oyster Bay Trail. 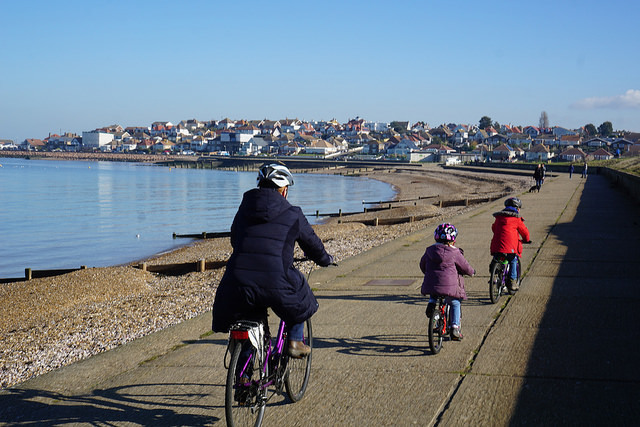 It was flat and easy cycling, so the children did brilliantly all the way to Herne Bay, some 5 miles away. 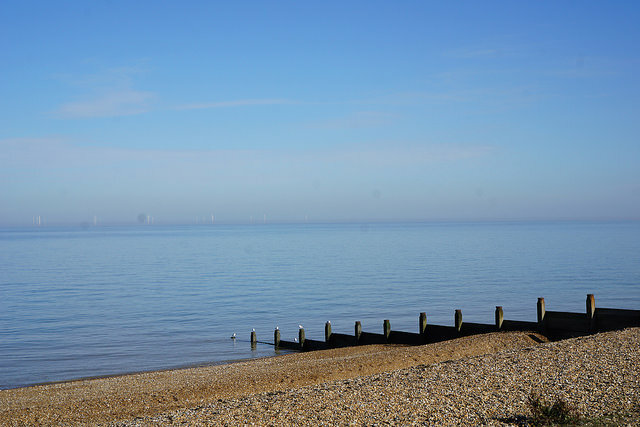 The views were glorious, with the sea dead calm and the beaches empty. 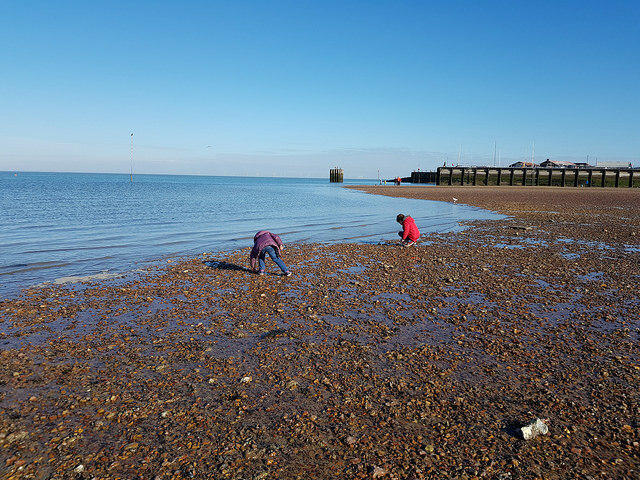 Alex and Sophie spent ages searching for the perfect skimming stones. And, of course, Matt wasn’t far behind! 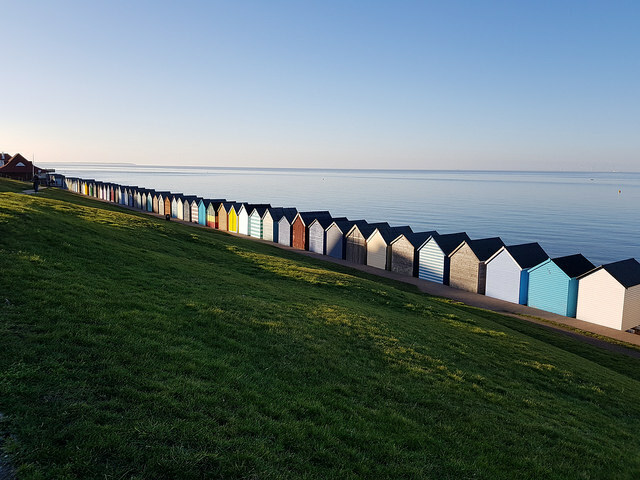 We eventually made it to the seaside resort of Herne Bay, where we headed straight to the legendary pizza restaurant – A Casa Mia. The first restaurant in the UK to receive certification of authentic Neopolitan pizza, it didn’t disappoint and will definitely go back. We worked off our huge pizza lunch with a vigorous game of crazy golf! For the first time, both Alex and Sophie played properly and we had quite the family competition (which Matt very proudly won)! 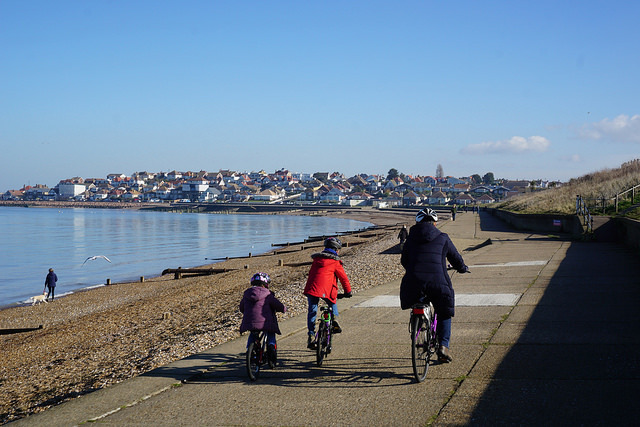 Before heading back to Whitstable on our bikes. The way back was a bit more challenging as the kids were both tired and the 5 miles felt a lot longer! And Alex managed to cycle straight into a barrier and come flying of his bike – but thankfully his helmet took the brunt of the impact and once the shock had worn off, he was fine. Phew! 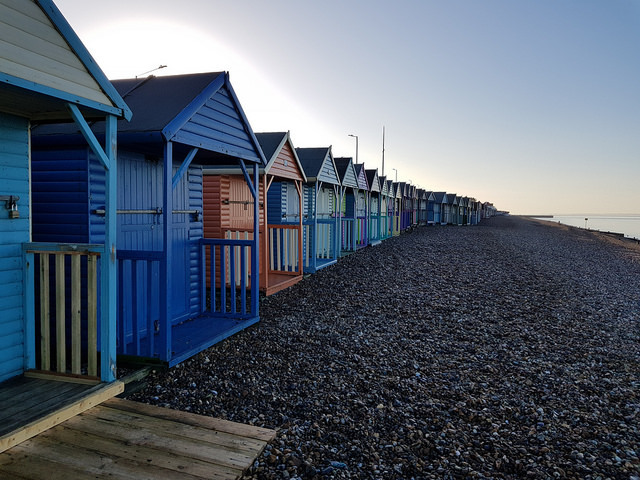 Despite the drama, it was still a beautiful ride back with the colourful beach huts looking so pretty in the dusk light. We had an amazing day – I’m so proud that the children cycled 10 miles and we all felt so refreshed after such a long time outside in the fresh air. We’re already planning more days like this on future holidays. 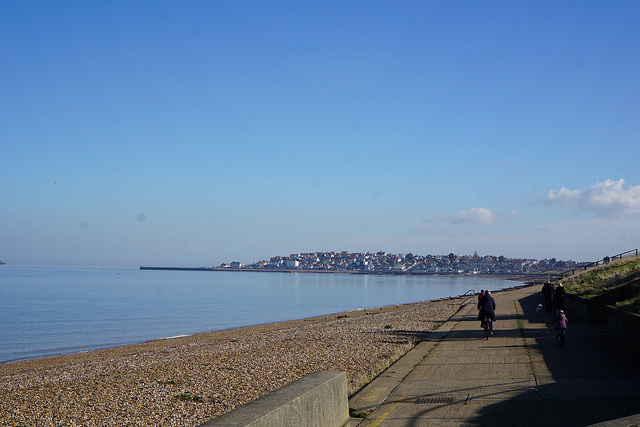 Sunday morning was clear and sunny again, so we went on an early wander along the waterfront in Whitstable. 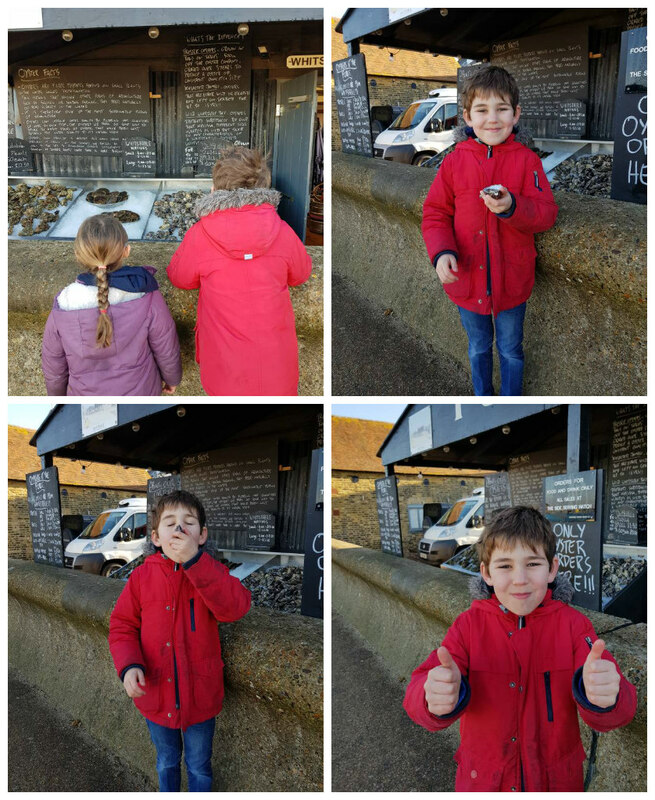 Alex had been fascinated by all the oyster stalls the day before, and begged me to let him have one! I, of course, obliged, expecting a comedic moment! But he gamely had a go and seemed to genuinely enjoy eating it! 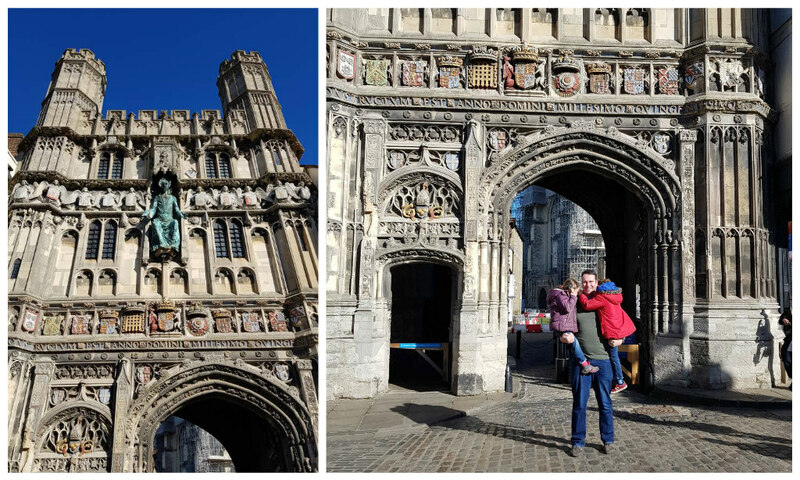 We spent the rest of the morning in nearby Canterbury, wandering around the old streets and visiting the Canterbury Tales. I spent my teenage years in nearby Maidstone, and spent many school trips at the Canterbury Tales experience – so I was amused to see it has barely changed in the intervening quarter of a century! But despite this, we really loved our visit. I loved the mix of live actor scene setting, and the audio recordings of Chaucer’s stories. I was particularly pleased that there was a children’s version of the tales so that Alex and Sophie could follow along – and they clearly found them hilarious! After another delicious meal, this time at the delicious Pork & Co, we headed back to Whitstable for our last afternoon. I’d downloaded a self-guided treasure trail based on a spy mission, so we let the children guide us around the back streets of the town as they solved the clues together! 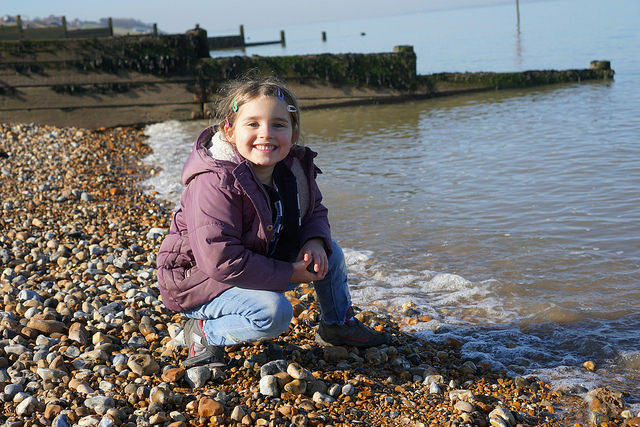 It was a great way to see a bit more of the town – and we were pleased that it lead us back to the beach for a bit more stone skimming and playing. It looks lovely. I’m unfamiliar with Kent but would like to visit both Whitstable and Canterbury. 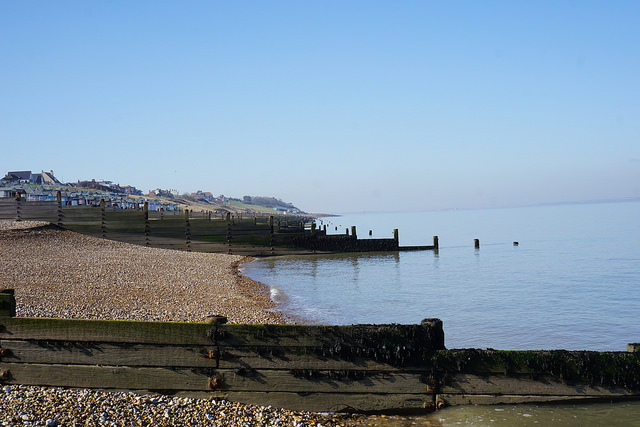 I’ve never been to Whitstable but what a lovely looking weekend break it makes. How lucky were you with the weather! Those skies make winter beach days so much fun and you cycled a fair old way too, always helps justify a good pizza lunch. 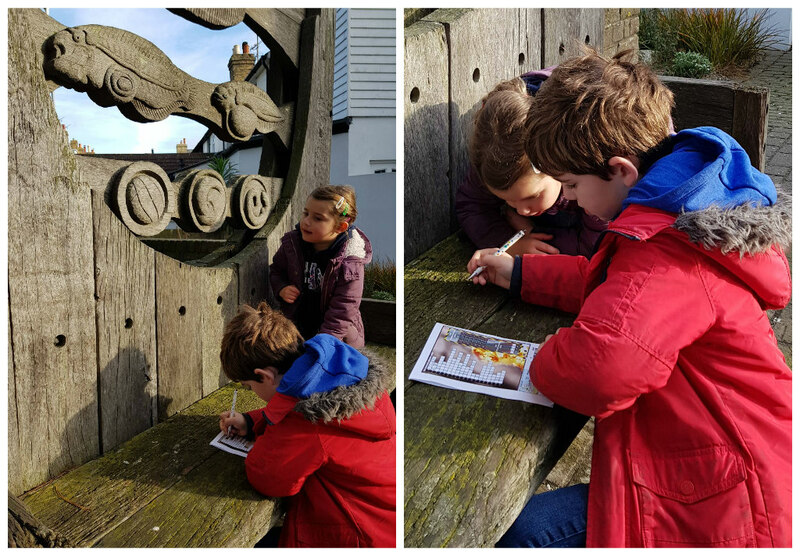 The treasure trail sounds a good idea for enjoying the town and learning a little Chaucer too. That looks like a perfect day out. 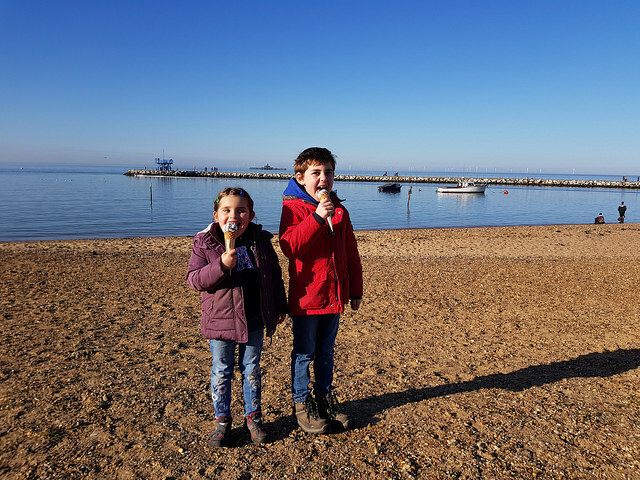 Bikes, beaches and ice cream!